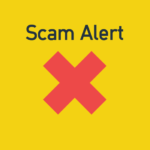 It has come to our attention that their has been a certain Nikki Johnson contacting people via phone demanding that they pay taxes owed to the IRS. Nikki Johnson threatens that if the taxes are not payed they can face jail time. Our customers that have made us aware of this situation, call us concerned because of course they do not want to be arrested or get into any kind of trouble with the IRS. First and foremost the IRS will never contact you through phone unless you, the taxpayer, personally request it. IRS’s official contact method is through mail where you are provided with phone numbers that you can call with questions or concerns. Additionally, the IRS never provides a direct phone number, they provide phone numbers beginning with 8 like a 800 number for example. Reportedly, Nikki Johnson demands to be called back at 451-413-7954 which is not an IRS phone number. It is also required by IRS employees to identify themselves by providing their full name and badge number. Nikki Johnson does not provide a badge number that we can report. As we have been advising our customers if you find yourself in a similar situation please don’t hesitate to report it. Applying For An EIN Is Easy And Free!